Hey bloggers do you want to use Google+ like the Pros? You can read more about each in his post. I wanted to add my own thoughts to these and point out that Google+ provides such a rich feature set in which you can get your message out. For example, Darren talks about how Gary Vaynerchuck uses a lot fo videos and this is a very powerful way to get your message heard than just text alone or even with pictures and text. Google+ allows you post links to YouTube videos or you can post a quick video that you record of yourself directly from within Google+ and this is a feature I don’t see too many people using so far which is a shame. This allows you to say what you want instead of typing in a whole bunch of text and I would encourage you to use this more and experiment and see what kind of engagement you get from these posts. This is another area that is often lost on people in that Google+ really offers you a chance to develop and promote your personal brand, or put simply what you are about. There was uproar at the start when Google+ came out that it didn’t allow people to use their aliases as they had become known as on things like Twitter but really this about people getting to know you and the things you care about. So when you post things ensure they are about those things that you care about and this will also allow people who are similar to you and have shared interests to find you and you can engage and interact. Decide what it is you want to be known for and then use Google+ accordingly to back that up. Of course your profile page should reflect this too so there is consistency in what you’re saying and what you’re posting. It’s not easy to find time to write original articles and posts but to further strengthen your Personal Brand look to share things that are interesting to you and those who share your interests and passions. Just like Darren mentions Gina Trapani you know the kinds of things you expect to read from Gina and if she is writing her own stuff, finding other stuff on Google+ to share or finding stuff out there on the internet to post into Google+ you know it’s going to be along the lines of her passions. Do the same and become known as a good source of information (original or curated) for what you want to be known for. There was much debate about whether Google+ replaces the need for blogging but I think they complement each other well. Continue to write you blog posts on your platform and then use Google+ as a place to share that content and have discussions around the topics you’ve posted about. This way you’ve got the best of both worlds that you are keeping your content safe while encouraging people to comment and discuss the topics. What about you? 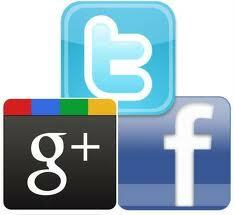 Have you got any additional ways that Darren and I have not covered that would be useful to Bloggers using Google+? This week we saw a major interface refresh of Google+ which has had a lot of people talking and there is plenty to like but I wanted to point out one of those things that I’ve found to very useful and that is a much easier and nicer way to find Hangouts. Rather than compare it with what it used to be like before I’m going to cut to the chase and describe how it is now. The new interface now has a Ribbon down the left hand side which provides access to various elements of Google+ and among these is an icon for Hangouts (incidentally you can customise this Ribbon to add/remove/re-order icons). 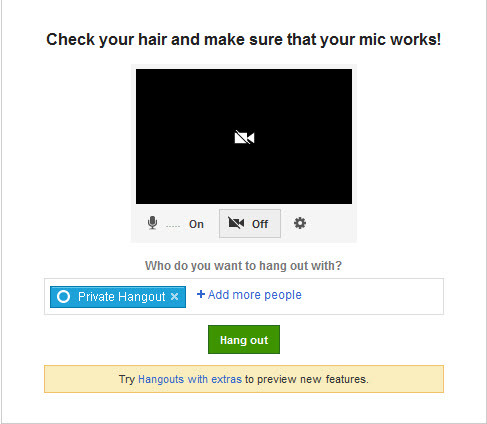 When you click this Hangout icon it takes you to a page which if you’re not familiar you can learn more about Hangouts and it provides links to various other topics related to how you can make the most of Hangouts. Below this what you will see is a list of Hangouts that you are able to join and the profile pictures of the people who are currently in those Hangouts. This gives you a central place to find Hangouts that you might want to join in on whereas before you would see it within the stream when looking through posts of your Circles and its for that reason I really like this as it makes it easy to find. Some things you should know about Hangouts is that they can hold up-to 10 people only and you can join hangouts from your phone which I’ve always thought was cool. The Hangouts you’ll see listed for you to be able to join will be determined by whether or not you’ve been invited to that Hangout specifically or the Hangout has been opened up to people of Circles that you are a part of or perhaps they’re Hangouts that are open up to Public meaning anyone can join them. A nice enhancement to this I’d like to see is titles to go along with the Hangouts that are displayed. So for example if someone starts a Hangout from a post and therefore it’s about that the subject matter of that post then it would nice to know that so you know what you’re getting yourself into from the start (and can decide if you want to join in or not). Similarly it’s not possible to apply a subject when to the Hangout when you start it simply by clicking the Start a Hangout button. This will come I’m sure but for now Hangouts remain one of the key unique things that differentiate Google+ from other social network so join in and experience them and have fun! Google continues to push out improvements and enhancements to Google+ and amongst the latest things to show up is the ability to share posts to Twitter, Facebook and Email easily when using the Chrome browser. Sure you could do this before but it was a little clunky where you had to copy the link to the post and then manually create a Tweet, a Facebook status update or Email and paste it and add your own message. This enhancement makes the process a lot more slick and easy. 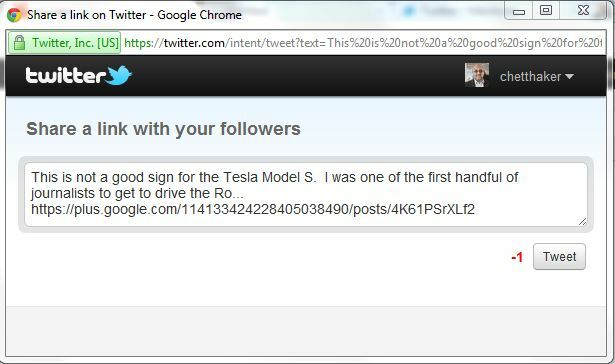 They have also added an option to Reply to Author which makes it easier to +mention the author in your reply. I get this, I really do, but I’m not sure what the purpose is since the Author will get notified when you post a comment on the post by default so it’s probably more about Google+ etiquette. There is a blog post coming up about +mentions discussing when to use them and when not to. However, what is much more useful in my opinion is the Reply link for comments that have been posted so you can more easily reply to another person’s comment – that rocks! Select the option you want from this list, let’s choose Share on Twitter for this example, which will then open up Twitter and create the tweet. Naturally you may need to make some adjustments to make it more readable and you’ll notice the link isn’t shortened (one of these days Google will automatically shorten links using their goo.gl shortening service but I digress). Once you’ve made your adjustments you can post this tweet and you’re done! It works very similarly for Facebook and for Email. This is very simple – you just select the link that says Reply to Author and it will bring up a comment box that will already have the author included as an +mention. Similarly it’s just as simple to reply to someone who has commented on a post by clicking Reply. None of this is rocket science I grant you but I wanted to make you aware of these so you can keep on top of the many changes that keep coming out making our Google+ experience better and better. 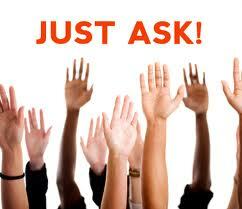 Have you found any really useful features and enhancements that you’d like to share? Hangouts by their nature are generally open to anyone to join in the Circles you start them in but what if you want to have a private Hangout session with only selected people? There is no feature in Google+ that allows you to do this but there is a way to achieve this. You can do this by creating a new Circle which you will use for this purpose only and you can add just those people you wish you Hangout with. What you must remember here is one of the fundamental things about Circles – just because you add someone to a Circle it doesn’t mean they will see posts from you. They need to have you in their Circle(s) also to be able to see the Hangout when you start it so you’ll need to ensure you’ve got this worked out beforehand. 1. Create a new Circle for your private Hangout (if you don’t already have one) and you can call it something like Private Hangout. 4. You will now be taken to the Hangout Green Room to get ready to start the Hangout. 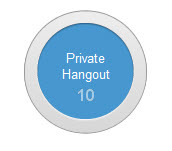 Ensure that you select only the Private Hangout Circle in the box where it says Who do you want to Hangout with? This is the important step to restrict it just to the people you want. Once you’re done you can either leave the people in that Cirlce if you’re going to be Hanging out with them again or you can remove them and leave the Circle empty to allow you to add different people for a future private hangout. So there you have it, while there is no feature in Google+ to allow you have private hangouts by creating a Circle with just those people who you want to Hangout with and then starting the Hangout for just that Circle does the trick. As a business owner there are many reasons why you should learn about Google+ Pages for Business. This provides your business with presence on Google+ and use it in a variety of ways to promote your products/services, interact with customers and prospects and take advantage of all the things Google+ has to offer. 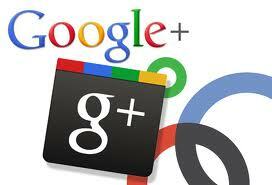 Read on to get the skinny on what Google+ Pages are all about. The basic element of using Google+ has been creating a Profile which is a personal account that allows you to share information and interact with their users. It wasn’t possible for you to create a presence for your business…until now. With the recent release of Pages it is now possible to use the many features that you’ve come to love about Google+ and use them in ways to attract and engage your customers. Pages look and operate in a very similar way to Profiles so there isn’t a new learning experience to have to go through if you are already used to Google+ through Profiles. So for example there are Circles, Hangouts, the ability to share photos, videos, links, and other content you want your customers to read. It is very easy to create a Page and you will see a link on the right side of your Home page under the heading of Google+ Pages which allows you to start the Page creation process. Once you’ve created your Page you can customise it in very similar ways to the way you would have created your Profile with the ability to post a photo or logo, enter a 10 word tag line and fill out other information about your business and links to your website/blog. Take the time to do this as this is a shop window for your business so you want to make it as attractive as possible for your followers and customers. 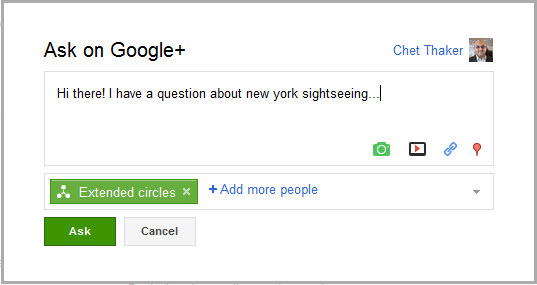 What are the key features of Google+ for Business Pages? Engage with other Google+ users by +1’ing content, commenting, resharing posts. This engagement is at the heart of any social network and is a good way to raise your Page’s visibility and attract people to your content. Start and Join Hangouts. This is a great way to interact with your customers face-to-face online and is one of the unique elements of Google+ compared to other social networks. Keep your content fresh and post regularly. People are more likely to visit and engage on your page if you are posting useful content on a regular basis. Spread the word. Use this feature from your Page which is located on the right side of your page to promote your page to your Circles to make them aware. When you do this the post will appear from your Personal Profile and not as the Page to add a little element of personalisation. I encourage you to start exploring Google+ Pages and seeing what ways you can take advantage of them for your business. If you already have a presence on Facebook then you really should get a presence on Google+ too as there are some similarities and some interesting differences. 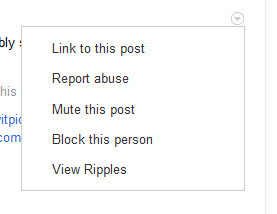 Google+ has nice feature giving you the ability to mute a post but un-muting it isn’t as easy as it should be so I wanted to share this information with you here. I’ll show you why and how you would mute a post and also how to un-mute a post. Now that’s all fine and dandy! The problem is when you later or decide that you want to un-mute the post because there is no display where it shows you a list of all the posts that you’ve un-muted for you to choose from. What you need to do in this instance is to find the stream that displayed the post that you unmuted and there you will see the same message as above in the same place where you can click Undo mute. 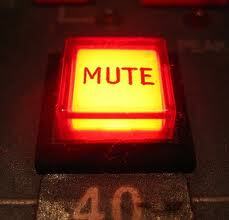 Alternatively if you remember the person whose post you muted you can go to their posts and similarly un-mute the post. Hopefully Google will make this process easier by having a page displayed where you can see all muted posts but for now this is the only way to do this. Another way to get questions answered if Google Search doesn’t give you what you need. A new feature has quietly appeared in the last few days in Google Search which allows you to ask a question on Google+ for something you are looking for. You have to be logged in to your Google account to be able to see this option otherwise you’ll just see the regular results appear. When you click on the Ask on Google+ link it will create a Post with some text conveniently filled in for you that you can add to and then you can click on the Ask button when you’re done. You fill in the post as you would do any others deciding which Circles you want to ask this question to etc. Are you seeing this yet and have you tried it? How has it worked out for you?